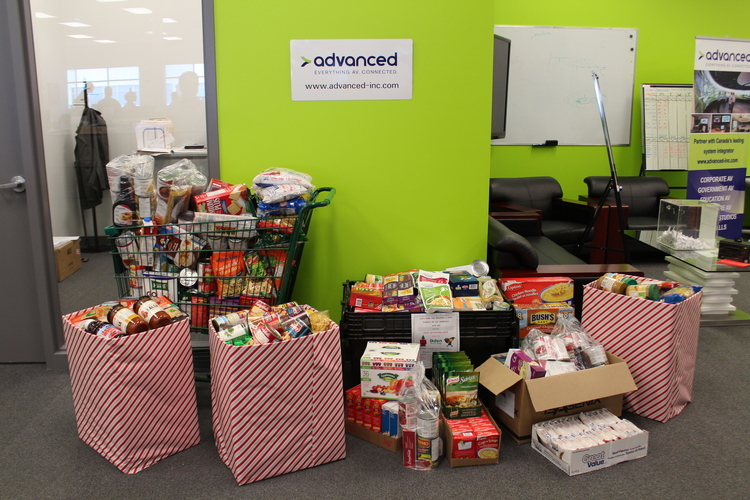 In an effort to give back to the community, Advanced, Canada’s leading AV integrator, today introduced its first ever annual donation and food drive initiative that aims to assist local organizations with corporate and employee contributions. In the initiative’s first year, Advanced donated over 600 items of non-perishable food items to Eden Food for Change a food bank that provides healthy meal options to local families in need, and raised a total of $4,000 for the SickKids Hospital, the largest pediatric academic health sciences center in Canada. For more images of the food drive and donation, click here.